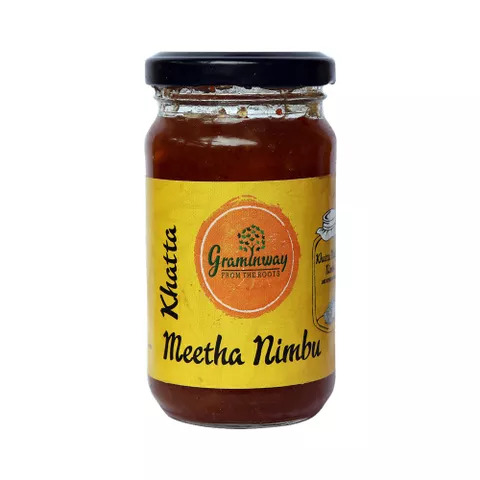 This sweet and sour Graminway Khatta Meetha Nimbu pickle has a fabulous attractive flavor. It is prepared from handpicked lemons and mixed with a rich mix of select spices. Pickles play an important role in Indian cuisine. No Indian meal is complete without a smidgen of pickle. Relish it with a leftover puri, fresh paratha, dal chawal, plain white rice, or as an accompaniment with any other regular meal. We assure you of nostalgic flavors that can make your taste buds tickle the same way they did so many years ago with your granny s pickle. It will not only enhance the taste of your sumptuous meal but its authentic flavor will also become a hot topic of conversation. Each Lemon is carefully cleaned, dried, and cut in a hygienic facility before pickling. 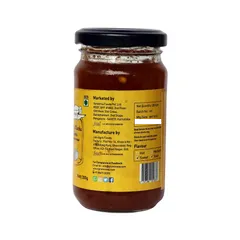 It is pickled with best quality spices and other ingredients. Graminway aims to provide clean, natural, and healthy products without compromising on the flavors and taste. We produce them in small batches, which helps maintain freshness and preserve the ingredient texture. By not stockpiling, each product is as fresh as possible when it reaches your doorstep.